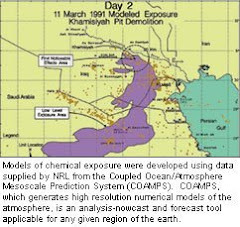 Did U.S. General Norman Schwarzkopf order a cover-up of the exposure of Western soldiers to toxic gases during the 1991 Gulf War? A new book just published in the Czech Republic claims that he did. Desert Fever was co-written by two former officers in the Czechoslovak chemical-detection unit operating in Saudi Arabia - Peter Zelinsky and former unit commander Jan Valo - along with Jaroslav Kmenta, a reporter for the daily Mlada fronta Dnes. The book charges that Schwarzkopf, the commander of the anti-Iraq forces in the Persian Gulf, personally ordered information on the detection of toxic gases during Operation Desert Storm to be suppressed. Zelinsky said that the information about the cover-up came to light in 1997 when the Czech Defense Ministry completed an investigation into the illnesses suffered by Czech veterans of the Gulf War. As early as 1993, many Gulf War veterans began complaining of mysterious health problems. The final report on the Defense Ministry investigation, published as an appendix in the book, declares: "The information on toxic chemicals detected was submitted to the U.S. side. However, on the personal order of General Schwarzkopf, this information was not made public." 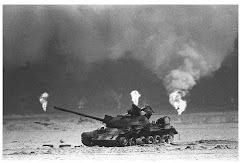 Gulf War veterans claim that their ailments were caused by toxic gases they were exposed to in Saudi Arabia and Iraq and have demanded compensation. Official investigations into the problem, both here and in the United States, have found no link between the so-called Gulf War syndrome and the war itself. During the investigations, the Pentagon and Schwarzkopf denied receiving information from the Czechoslovak chemical-detection unit on poison gas emergencies during the war. Testifying on Jan. 29, 1997, before a hearing on Persian Gulf War illnesses held by the U.S. Senate committee on veterans' affairs, Schwarzkopf said he had no knowledge of any soldiers being exposed to chemical weapons. "In every case [of a chemical alarm] I am aware of," Schwarzkopf told the committee, "the alarms were declared false alarms." However, Desert Fever states that the Czechoslovak unit detected the presence of toxic gases, primarily the nerve gases sarin and yperite, on four separate occasions. It also alleges that a sample of detected yperite, also known as mustard gas, was given to American officers and subsequently vanished. "According to our information, Schwarzkopf lied" when he denied having received any notification of the detection of toxic gases, Zelinsky told The Prague Post. In the book, the authors cite a page from what they call Schwarzkopf's secret war diary to "prove" that he had received information from the Czechoslovaks about toxic gas emergencies. The diary excerpt from Jan. 19, 1991, reads: "Czech unit reported 2% HD [a code for yperite] in the air at KKMC [King Khalid Military City, in northern Saudi Arabia] at 1100 hrs, rising to 3% at 1300." According to the book, the diary excerpt, which they call "irrefutable evidence" of Schwarzkopf's awareness that toxic gases had been detected, was given to Valo by Don North, an American public relations spokesman for the Saudi Prince Khalid. "North knew that the Pentagon and Schwarzkopf would insist that they knew nothing about poison gases and therefore he suspected how important this page from the diary was," the authors write. In addition, the authors say, the Czechoslovaks provided the Americans with a sample of the yperite detected. But the Americans have never admitted receiving such a sample. "Either they underestimated Czechoslovak measurements, which is unprofessional," the book states, "or they wanted to hide something important that they discovered after analyzing the sample they received." The Pentagon has never admitted receiving such a sample, and neither has Schwarzkopf, the book declares. Former Deputy Defense Minister Vladimir Suman, who was instrumental in establishing the investigating committees, refused to comment on the book, saying, "I don't remember anything about this at all. It's been two years." He added that the Defense Ministry would soon have an official statement on the book. Contacted by The Prague Post, the Pentagon had no comment. An information officer said no one there had read the book yet. "We wrote Desert Fever to counter all the speculation in the United States about what happened during the Gulf War," Zelinsky said. "Many lies have been told about it, and we don't know why. We are prepared to testify before the U.S. Congress. Perhaps we will be criticized or even sued. But if there is no response to the book, it will be very strange."